What is the YeliExpress Group? What YeliExpress Group is, is a good question. YeliExpress Group is a huge company group that owns YeliExpress, Azizi Lawyers, YourRealEstate, Mazebank. Azizi started out with a small build and design company called YeliExpress. The company was not so big and it was unknown, but after a while people started to use YeliExpress for designing and building. After not so long time the company built yachts in Crystal Bay. And after that it has been doing good. Some time after I added the design/build company to the Stock Market. And some time later the new firms came. You may have heard about us. We are a designing and building company. We are different from many others in this server, and with great prices and great costumer support you won't regret choosing us over others. What's different about you than any other design/build company on the HelloMiners server? Our services are far better than your typical HM designing/building company. Our costumer support is, if not the best, then one of the greatest. We actually care about what you think, and our designs are among the greatest on the server. We can make many different designs. We can make bridges, apartments, suburb houses, mansions, factories, trains, highways, roads, parks, so basically everything you could possibly think of. If you don't like the design, we can ofcourse change it for free. We can keep track of the materials costs, if you want us to keep track. We'll make a spreadshet of what we bought, where, and for how much. (NOTE) We will always try to get top quality materials with the cheapest price. We can promise that our builders/business partners won't steal any of your materials, because if they do, they'll get fired and they'll get reported. 1. You agree to our terms & conditions when you are using our service. 2. You must contact me if you want our services and not our workers. 3. We are compensating you if your eviction was our fault. 4. We can edit, add, or delete any of our terms and conditions at will. By seing some of our previous work, please contact me. Azizi Lawyers is a lawyer firm. We have got very professional lawyers that can be your lawyer. YourRealEstate got apartment buildings in many cities for sale and for rent for really good prices. MazeBank is a bank that lend money to you with low interest! WBYE is Whole Blocks and YeliExpress combined. We are usually working on government projects to make cities nicer. We can also work on big private projects. Admins please do not lock this topic. Copyright © 2017-18 YeliExpress Group. All rights reserved. Last edited by yamaazizi on Fri Sep 14, 2018 4:29 pm, edited 6 times in total. When was the car plugin said to be added? What YeliExpress Group is, is a good question. 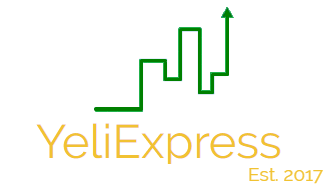 YeliExpress Group is a huge company group that owns YeliExpress, Yama Azizi Lawyers, Amazun, YourRealEstate, Mazebank, YGS (Your Gas Station) and YPS (YourParkingHouse). A bit of TS is also in the group. Tamimazizi started out with a small build and design company called YeliExpress. The company was not so big and it was unknown, but after a while people started to use YeliExpress for designing and building. After not so long time the company built yachts in Crystal Bay. And after that it has been doing good. YeliExpress is A build and design company that does whatever you want! and its on the stock market while the other companies or the whole group isn't. YeliExpress was founded in the summer of 2017. We have had many great jobs and happy costumers. Yama Azizi Lawyers is a lawyer firm. We got very professionel lawyers that can be your lawyer. We will always do our best to help you. If you need to sue someone or if you're sued by someone, or if there is another thing, we can still help you! Amazun is mainly stores and there is going to be an online store soon! The biggest store is located in first row to the airport in Ocelot. The green building. MazeBank is a new bank that loans you up till 10 grand with low interest and low fees! YourGasStation Not in actual service yet, but will be as soon as the car plugin gets added. YourGasStation is gas stations for the future car plugin. We already got 2 gas stations in Ocelot. YourParkingHouse Not in actual service yet, but will be as soon as the car plugin gets added. YourParkingHouse is parkings in cities for the future car plugin. TS Only a bit of it is in the group. TS is a brand new store that is going to open soon in 2nd row rc behind the chs building. The Owners are Sonfic aka Somfic and tamimazizi. We are selling all the stuff you need for good prices! Prices that are as good as GNR, Vanguard, Ara's, ESS and better than TESLO owned by kingnub lol. And we are always going to be stocked when we open! You can contact me ingame using with a mail or a message. But the whole group isn't listed. It's only the design company called YeliExpress. It's not the whole YeliExpress Group. Abomination_12345 wrote: When was the car plugin said to be added? There's many people wanting it but some doesn't. It hasn't been added yet so I guess it'll be added when everybody accepts it. In the battle palace there is a parkour being built. I am pretty stuck on making a design. I was wondering if you would be up for the challenge for working for me and MyNameIsSakura through the government. It is a weirdly shaped room and the parkour is done. All that's needing done is the design and building. If you choose to accept, materials won't be provided and you would have till may the 1st to design and build. For the payment, the government will pay you. The exact amount is still to be confirmed but it will be around a 4 digit figure. If you want to do this then please arrange a time to meet up and I can show you the ropes. ~Doodle on behalf of the BP team.